This is a very long overdue post. 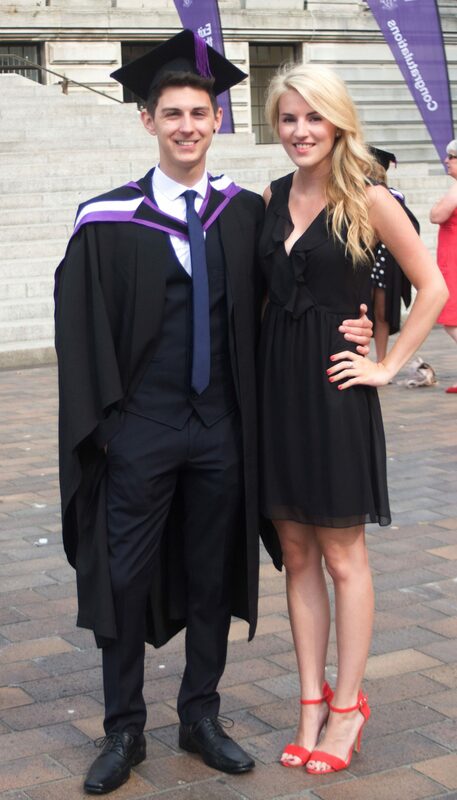 Luke graduated way back on the 23rd July and I am only just posting about it. I kept thinking I’d put the outfit back on again and take a few photos to blog about it because I didn’t get the chance to do any ‘blog outfit photos’ on the day, but I eventually decided I was just too lazy to do my hair and make up again in the same way to pose about for 5 minutes. Therefore you have this post, the lazy way of showing what I wore that day! Yay for laziness. 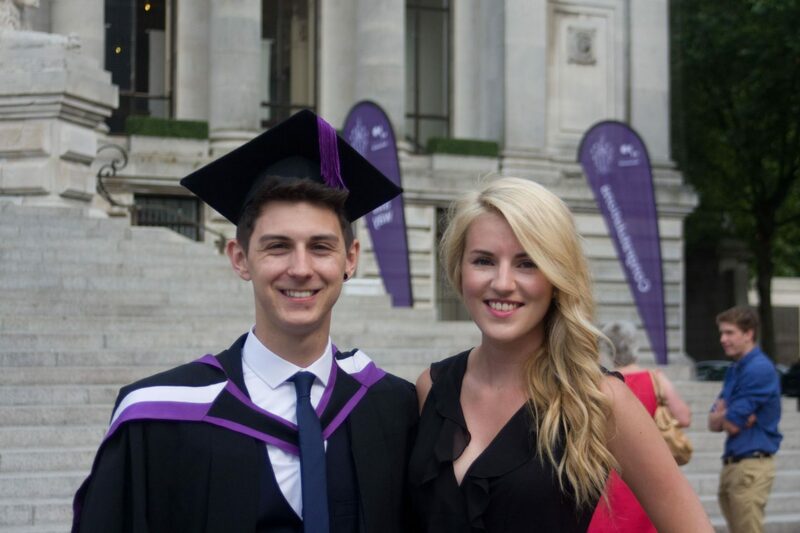 It was a lovely (and rather hot) day and I was so proud to see him graduate, those 3 years of late and sleepless nights have paid off. It was also sad to say goodbye to Portsmouth because that was the last proper uni thing we did down there, and now its all over! 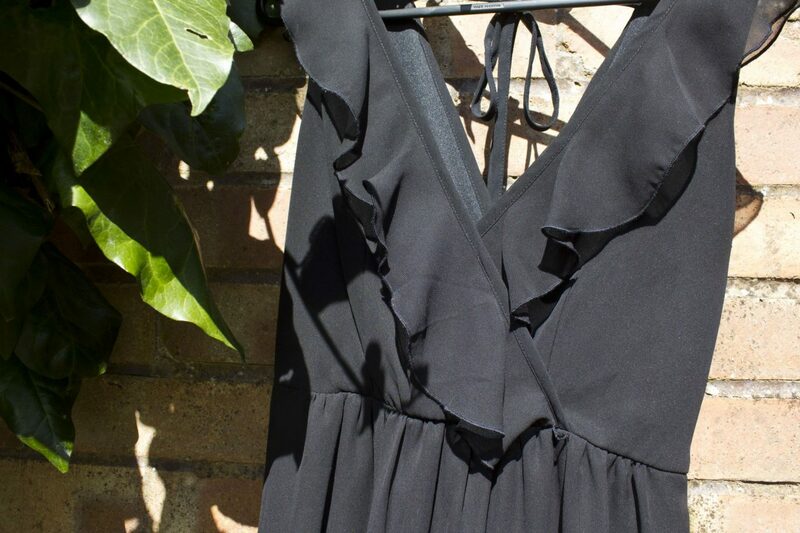 Anyway what I wore was this basic black dress from TK Maxx that I’ve had for years, one of those perfect ones for chucking on for formal events, family meals etc etc. I think it only cost me about £15 quid-ish, bargain! I paired it with my basic red Primark strappy heels just to add a bit of colour into the outfit. A pretty simple outfit but it did the job for the day! A bit of a different way of showing my outfit by hanging it out in the garden but I’m glad I finally got round to posting about this outfit in some sort of way. Hope you’re having a few nice last days of summer this week like me if you’re in the south of England!